This article examines the structure of nonprofit voluntary accountability and standard-setting programs, arguing that these programs can be understood as collective action institutions designed to address information asymmetries between nonprofits and their stakeholders. Club theory and the economics of certification suggest that such programs have the potential to provide a signal of quality by setting high standards and fees and rigorously verifying compliance. Such mechanisms can signal quality because higher participation costs may allow only high-quality organizations to join. 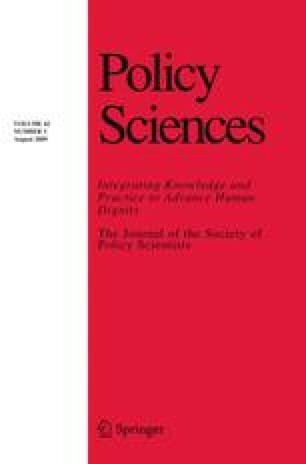 The article examines the implications of signaling theory using an original dataset on the structure of 32 nonprofit accountability programs across the globe. While many programs set high standards for compliance, the key distinction between strong and weak programs is the use of disclosure or verification mechanisms to enforce compliance. Contrary to theoretical expectations, compliance standards and verification do not appear to be substitutes in creating stronger voluntary programs. Thanks to Travis Reynolds for excellent research assistance and to Aseem Prakash, Matt Potoski, Jodi Sandfort, and Stephen B. Page for valuable comments on earlier versions of this article. In addition, I thank two anonymous referees for their very helpful feedback. All errors remain my own. Dale, H. (2005). Study on models of self-regulation in the nonprofit sector. National Center on Philanthropy and the Law and Independent Sector. Retrieved April 27, 2009, from http://www3.law.nyu.edu/ncpl/library/Self-Regulation.pdf. Edelman Trust. (2007). Edelman trust barometer 2007. www.edelman.com/trust/2007/trust_final_1_31.pdf. Harbaugh, R., Maxwell, J. W., &, Rousillon, B. (2008). Uncertain standards. Resource document. Available at SSRN: http://ssrn.com/abstract=948538. Independent Sector. (2005). Strengthening transparency governance accountability of charitable organizations: A final report to congress and the nonprofit sector. Resource document. Independent Sector. Retrieved November 20, 2008, from http://info.ethicspoint.com/files/PDF/resources/Panel_Final_Report.pdf. Independent Sector. (2007). Principles for good governance and ethical practice: A guide for charities and foundations. Resource document. Panel on the Nonprofit Sector, Independent Sector. Retrieved October 1, 2007, from http://www.nonprofitpanel.org/report/principles/Principles_Guide.pdf. The Economist. (2003). Who guards the guardians? Resource document. The Economist. Retrieved November 20, 2008, from http://www.economist.com/science/displaystory.cfm?story_id=2077493.